It’s been quiet on the blog. Sorry! It seems like life is just crazy right now. Well that, and multiple not-fun house issues have happened this past week. As in, calling multiple different professionals in ($$$$). Grr. 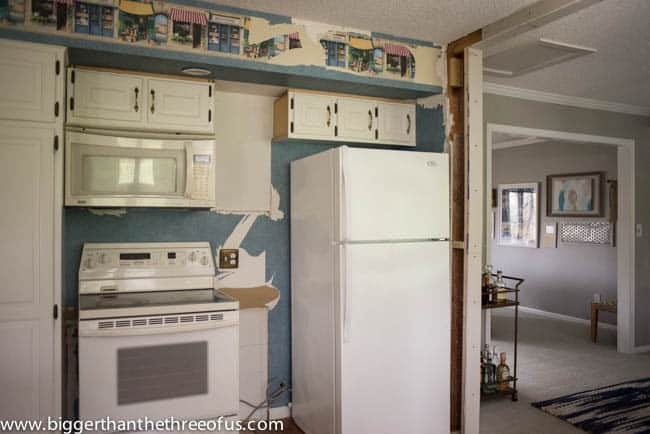 Anyways, on the positive side of things, I think we have a more concrete plan on the happenings with our kitchen. #imsoexcited We’ve made some kitchen progress and have the other bunkhead down. Yay! So, I thought I would fill you in on where we are at. And then don’t expect another update until… hmm… how about August?! lol. 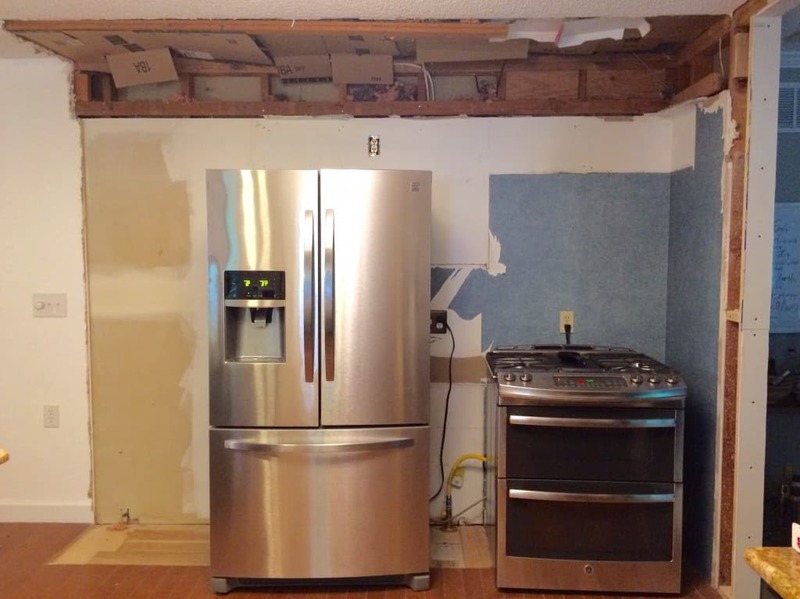 So, when we took down the bunkhead around the main kitchen work area, we left it over the stove and the fridge. 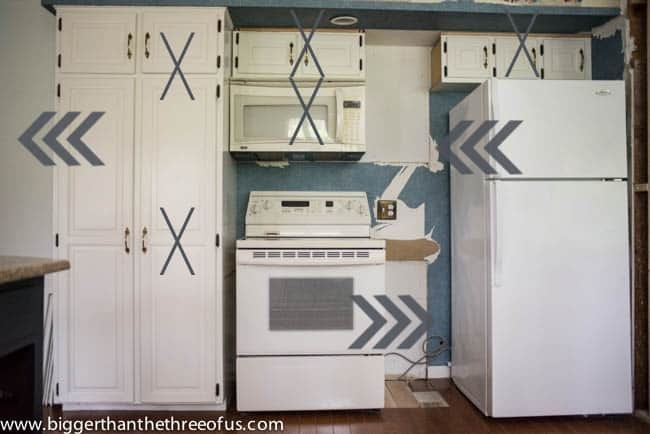 Basically, get rid of everything with “X’s” and move everything with arrows. We started that process and I’m always amazed how it goes from bad to worse before it gets better. We decided that if we were custom-building cabinets that we wanted to do it for the longterm, so we splurged on new appliances. We are going to take the next few weeks and firm up the design plan, but I’ll be back soon with details.